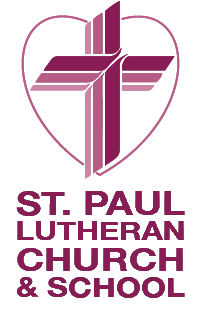 Welcome to St. Paul Lutheran Church & School! Well, actually, welcome to our site on the world-wide web ... which we hope will lead you to our actual location in Leavenworth! A congregation of the Lutheran Church-Missouri Synod, we have been in Leavenworth for more than 150 years, all but four of them on the same corner: 7th & Miami Streets, just north of downtown; only 8 blocks south of Ft. Leavenworth's Main Gate. Home to the oldest Lutheran school in Kansas, we also support mission outreach in Guinea, West Africa, as-well-as in our own neighborhood. All that we do focuses on our goal of "Cultivating Awesome Relationships for Eternity!" Thank you for visiting us here — please come see us in person ... so that we may show you how much we CARE!